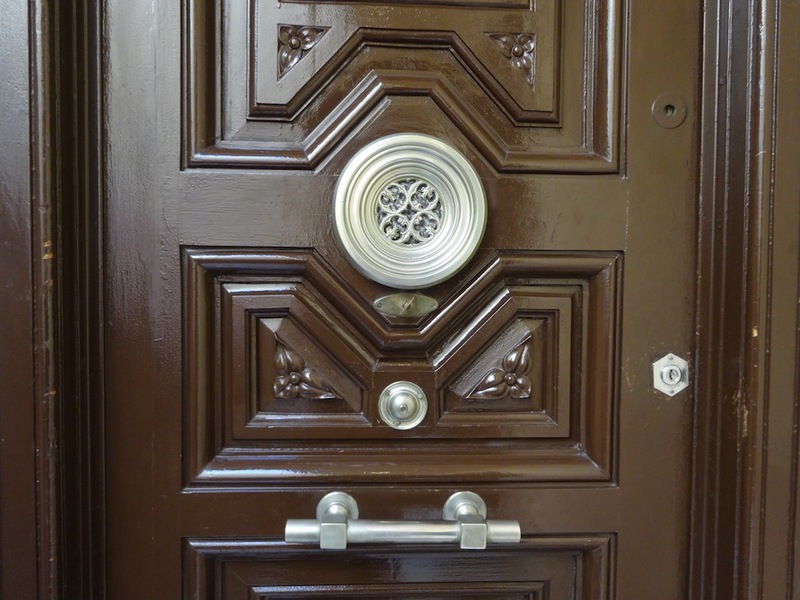 I arrive at the studio of architects Flores & Prats and I am surprised to find a bicycle bell on the door. ‘It is a reminiscence of the civil war’, explains Eva Prats (Barcelona, 1965) ‘from the time people had to manage with constant electricity cuts’. She and Ricardo Flores (Buenos Aires, 1965) show me around their studio located between Carrer Trafalgar and Carrer d’Ortigosa, while we comment their various projects through drawings and models displayed alongside a collection of curious objects: a Mexican virgin, colourful edged papers, old Japanese toys or Chinese dragons (they became fond of those since they discovered the shape of a dragon on the studio’s hydraulic floor.) For this interview, I focus on two of their projects. 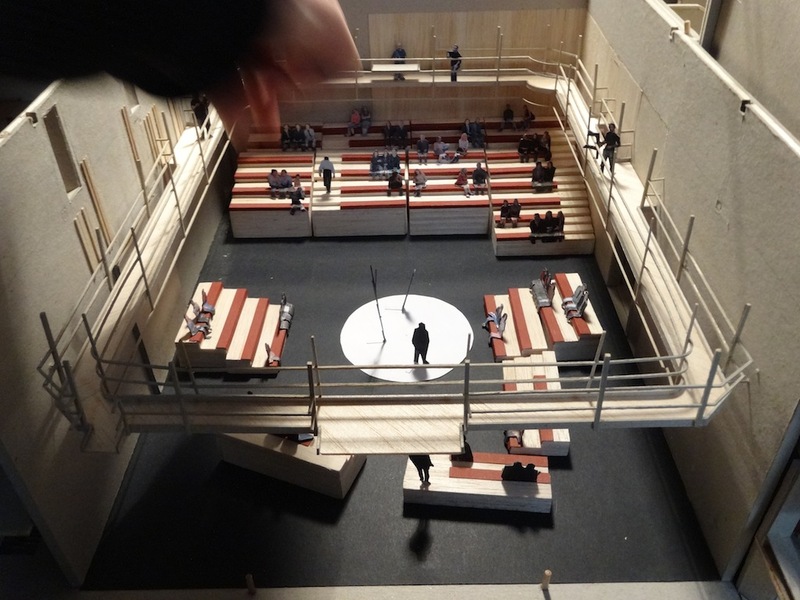 The first one is not a building but an exhibition that took place in Autumn 2013 in Copenhagen. 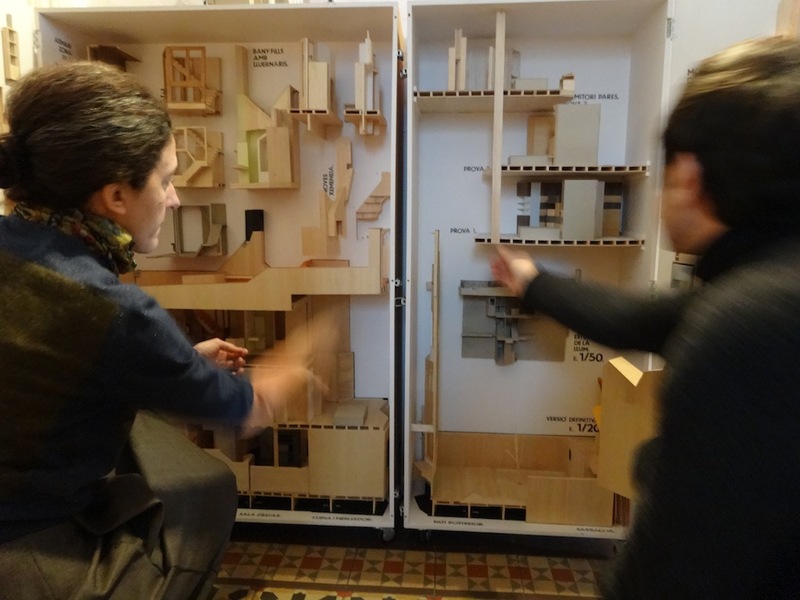 In it, they presented the whole work process that is behind one of their most important works: the building 111 in the town of Terrassa, a social housing building that is formed by 111 apartments. This exhibition allows us to talk about how important the work process is in architecture and how it changes when the project is done locally or in the distance. 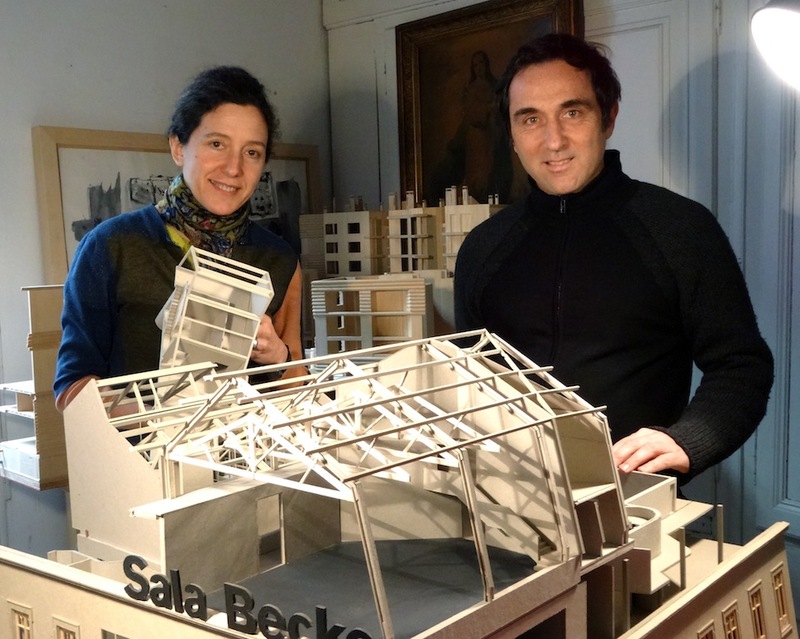 The second work that I focus on, will soon transform the panorama of Barcelona’s performing arts: it is the reform of the new Sala Beckett, in the former building of the Consumer Cooperative Pau i Justicia, in the Poblenou district. Before we start, I would like to know how the two of you met. Eva. 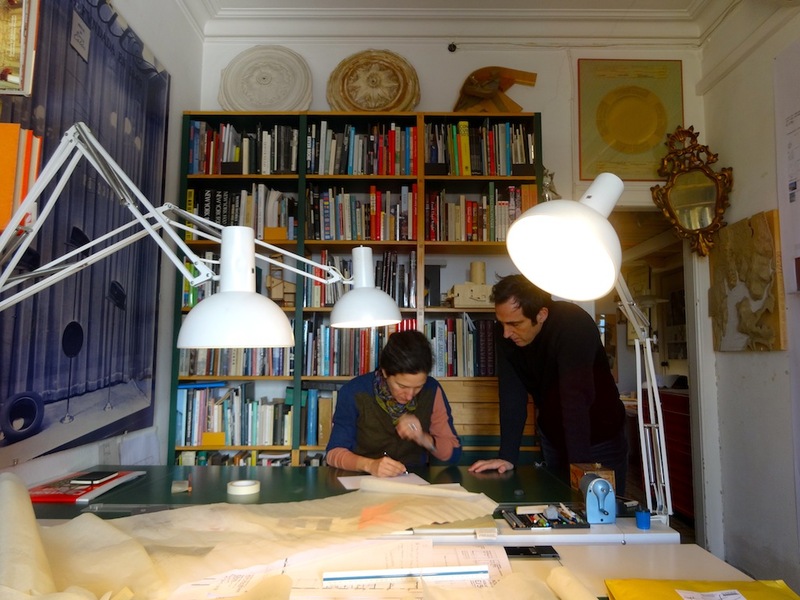 We met working at the studio of the architect Enric Miralles (Barcelona, 1955-2000). He was my professor in college and at twenty, I started working in his studio while I was still studying. I remember that he and the architect Carme Pinós (Barcelona, 1954), who was his partner at the time, seemed very old to me, although they were only ten years older, but they could draw freehand anything they wanted. 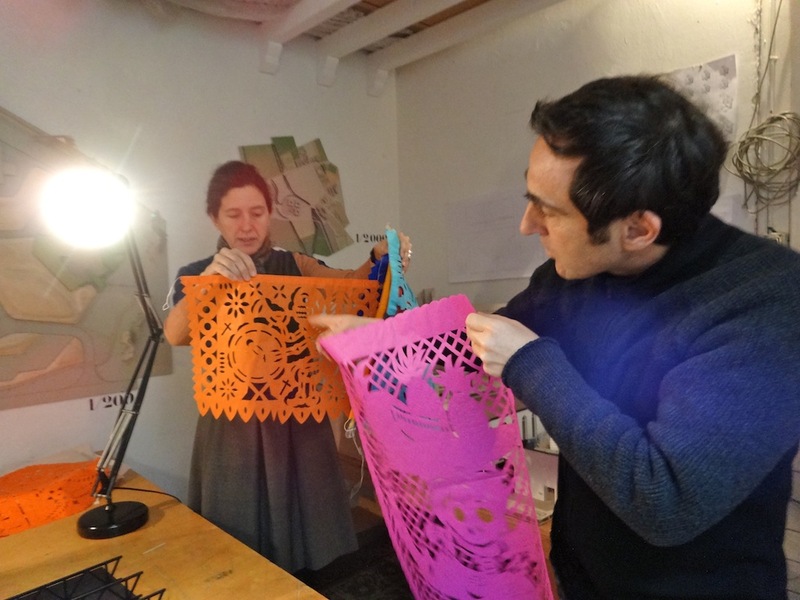 I spent nine years working in the Miralles’ studio, until I slowly started to leave. Ricardo arrived the year before I had completely left. Ricardo. It was hard to leave that studio; it had a dynamic that somehow kept you hooked. Eva. Yes, because there was a very cordial atmosphere and a great respect between peers even if the work was enormously demanding because Enric was very demanding with himself, so he transmitted that to all his team. Ricardo. True, I stayed about five years after Eva left. I began to take responsibility within the office: I took care of the studio and the competitions. When I arrived in Barcelona there weren’t many projects going on because it was the time of the post Olympic crisis, but things started waking up until we started having a lot of work. I had come from Buenos Aires to Barcelona in order to study my masters and to learn from Enric. I believe that when you finish university, you need someone experienced with who you can spend an intermediate stage until you start developing your own projects. I was very fortunate to have Enric Miralles as a teacher. Eva. I agree, this stage is very important. I thought about studying a master in an American university (Enric was also teaching a few courses at Harvard), but I chose to learn from him working in his office. Of course, learning directly from him as a professional, not as a teacher anymore. Ricardo. 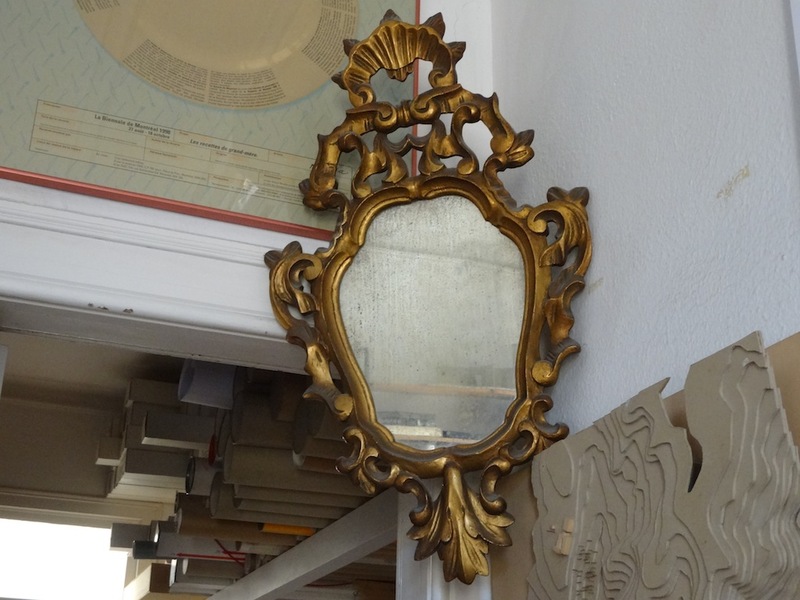 At that time, he set up his home in Ciutat Vella, by the Santa Caterina Market. It was in a former palace that he began to remodel. While we were working in there, we found old murals and structures hidden within the building and we approached the city’s history by working with the layers that time had been leaving in those walls. Enric taught us to deal with old elements without any distance. This approach has later been very useful for projects such as the new Sala Beckett because we aim to incorporate history into everyday life, we want to make it useful. Eva. And twenty years ago that area had nothing to do with what it is now. I still have very vivid memories of dark streets and very few people in them or stolen bags hanging from balconies: thieves took the money inside them and threw the bag up in the air while running away. There were still many carpenters or blacksmiths that worked there and the streets were always full of packing boxes. Ricardo. When I arrived in Barcelona, in the early 90’s, there were still abandoned places that were very attractive, for example, the theatre that is just behind the CCCB (that the architect Elias Torres (Ibiza, 1944) rehabilitated in 2011). I loved watching those half-ruined buildings because you could easily see all their internal structures. I also enjoyed discovering Barcelona’s traditional hidden places such as La Paloma. In the last twenty years the city has been very smoothed and formalized. 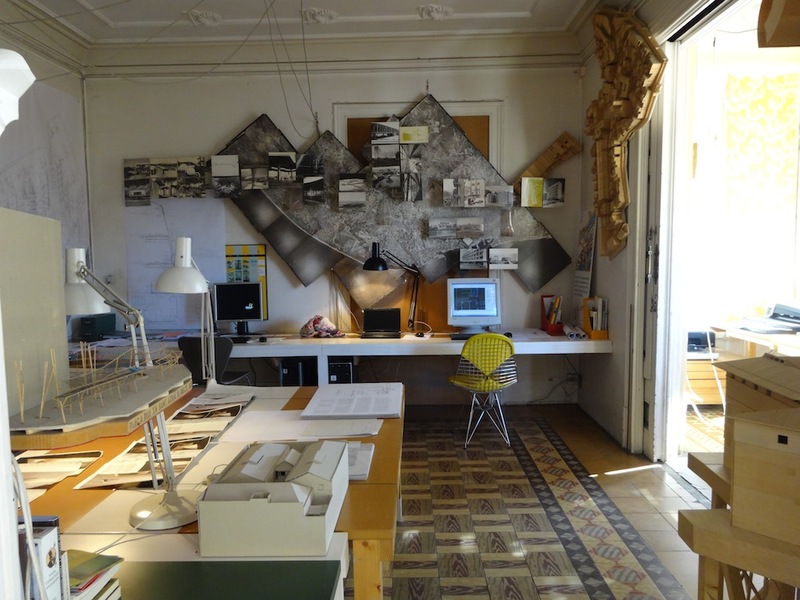 And during these last twenty years, you have gone from being Enric Miralles’ disciples to consolidating your own studio. I use the word ‘consolidation’ because beyond all the buildings that you have already raised, explaining your own trajectory in an exhibition as the one you did in Copenhagen, also means consolidation. Could you please tell me about it? Eva. Yes. There were actually two exhibitions that were complementary because they both explored the social dimension of housing. The first one was located in the Exhibition Hall of the Royal Danish Academy of Fine Arts and it was called Meeting at the Building. There, people could see all the elements that belong to the creation process of the building 111, from its initial drawings and miniatures, to videos such as the one we co-produced with 15 -L films, about the way that the building’s neighbours interact two years after its construction. We also displayed other cases of social buildings in both Barcelona and Copenhagen. Ricardo. The second exhibition was called Ingredients & Cakes, it took place in the gallery and studio of architects Leth & Gori, a space that had formerly been a bakery. 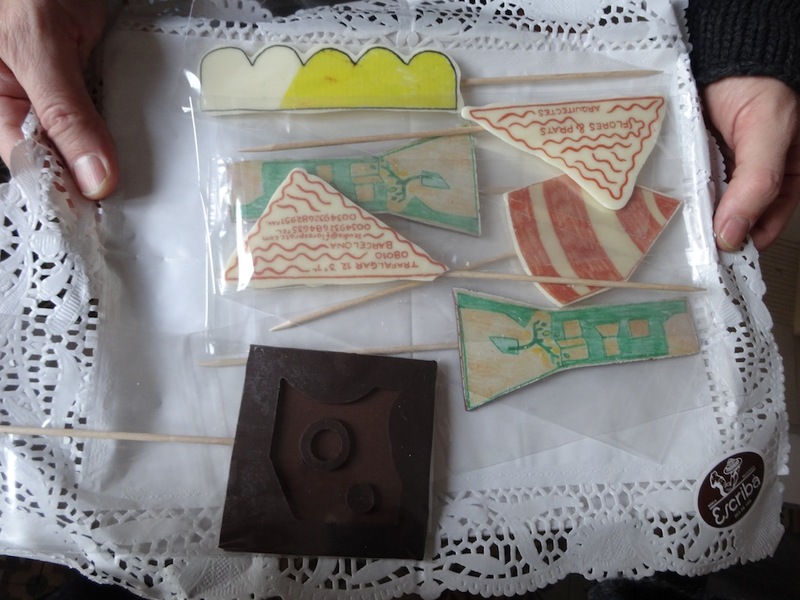 We wanted to do something related to its history so, in order to complement the materials of other projects previous to the building 111, we also offered cookies and chocolate lollipops made out of shapes of the elements that can be found in these buildings. How was the experience of organizing everything from Barcelona? Eva. We had to think very carefully what we could bring from Barcelona and what we could prepare directly in Copenhagen. In the case of the cookies, we wanted them to be made in the canteen that was by the exhibition, but when its chef saw the shapes that we wanted to make, he thought he wouldn’t be able to do it. 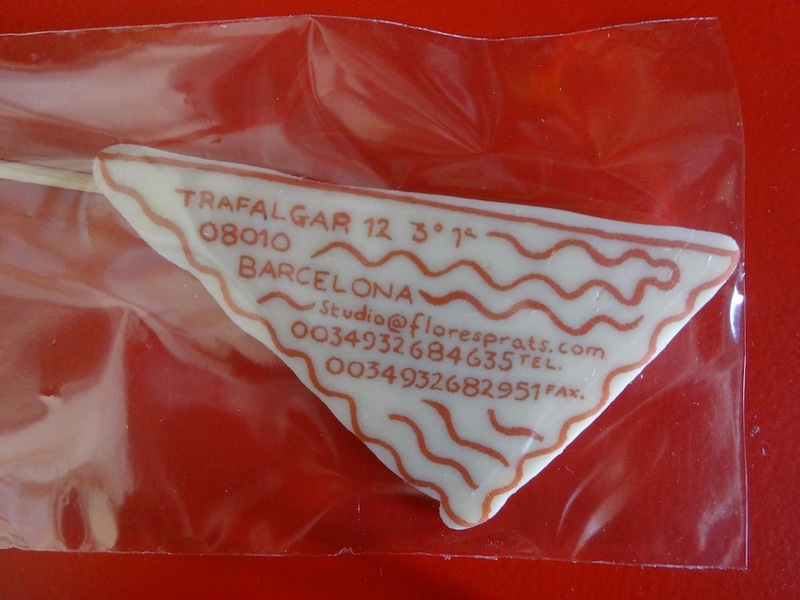 Instead, we went to the Escribà bakery in Barcelona and we explained the idea we had. They immediately reacted with enthusiasm and they also helped us a lot by giving us tips on how to transport all the chocolate and cookies all the way to Denmark. They have a very dynamic team. Ricardo. 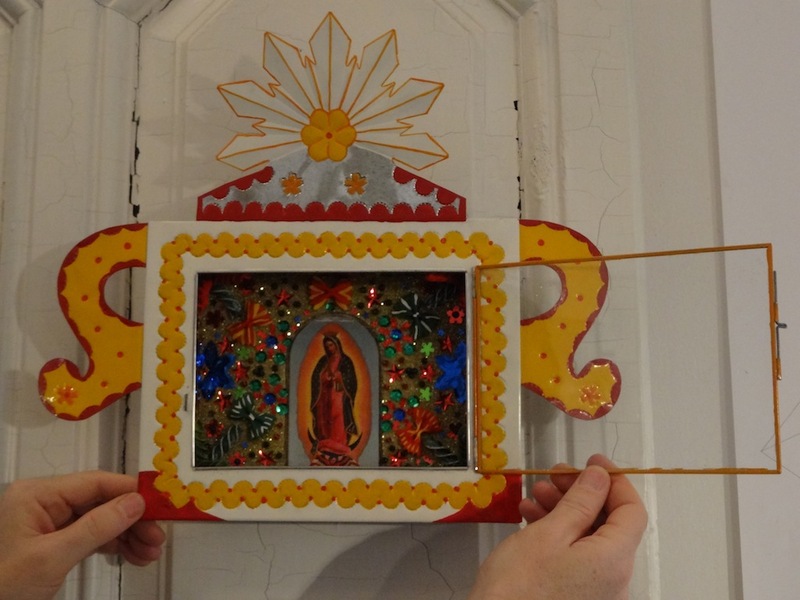 Preparing this exhibition was a fantastic experience and a long and laborious process too. There was a lot of research done in order to find the best way to present our work because we wanted people to understand the process of creating each building, a process that usually takes several years of work. The creative process is very important for you. People often just care about results, but you can say that the process has already a lot of value in itself. Eva. Absolutely. It is the process what gives meaning to the final work and we value that a lot. We don’t want the process to vanish after a building is completed. To us, all the work of craftsmanship in each miniature or in a drawing, has importance beyond an instrument to facilitate construction. Ricardo. Yes, the process is a great way to express how we get to the final result. It is full of errors and corrections, but that is what makes us move forward. We keep all the models of each project in wooden chests that contain miniatures from the initial idea to how it evolved towards the final building. It is a great communication tool for both our clients and for the students that can see a clear and practical example of all these processes. In fact, in early 2013 our students displayed in the sala Vinçon, in Passeig de Gràcia, some of these chests containing the entire process of their degree’s final projects, it was an exhibition titled Memorias portátiles. We just talked about creating something in the distance, you have done many projects in Barcelona and its surroundings, but also in Germany, Denmark and Italy. How would you contrast the fact of working as a local architect vs. the figure of the international architect? Eva. It varies in each project. In the case of the Exhibition we did in Denmark, we could have worked directly with people there, but it was easier to find support from here like the Escribà Bakery, the laboratory EGM that printed the panels or our friends who work with wood and built the tables for the exhibition. All of them dared to produce on a large scale and with very high quality. Ricardo. When you create something in the distance, you do not dominate the panorama in the same way, and if you don’t bring your own team with you, it is more difficult to establish solid bonds with the people you work with. You must always be present, because otherwise a project can take its own way beyond your control. Llego al estudio de arquitectura Flores & Prats y me sorprende encontrar un timbre de bicicleta en la puerta. ‘Reminiscencia de la guerra civil’ explica Eva Prats (Barcelona, 1965) ‘de cuando había cortes de electricidad’. Ella y Ricardo Flores (Buenos Aires, 1965), me muestran su estudio situado entre la Calle Trafalgar i la Calle d’Ortigosa, mientras comentamos sus diferentes proyectos a través de dibujos y maquetas que conviven con una colección de objetos curiosos: una virgen mexicana, cenefas cortadas en tiras de papel, antiguos juguetes japonenes o dragones chinos (se aficionaron a estos cuando descubrieron las formas de dragón del suelo hidráulico de su estudio). 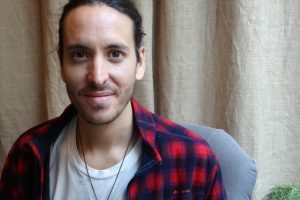 En esta entrevista me centro en dos de sus proyectos. El primero no es un edificio, sino una exposición que tuvo lugar en Copenhague en otoño de 2013. En ella presentaron todo el proceso de trabajo que hay detrás de una de sus obras más importantes: el edificio 111 en la ciudad de Terrassa, un bloque de 111 viviendas sociales. La exposición nos permite conversar sobre la importancia del proceso de trabajo en la arquitectura y sobre cómo este proceso cambia cuando la obra se desarrolla a nivel local o en la distancia. El segundo proyecto en el que me centro es el que pronto transformará el panorama de la creación escénica de Barcelona: la reforma la nueva sala Beckett situada en el antiguo edificio de la Cooperativa de Consumo Paz y Justicia, en el barrio de Poblenou. Antes de empezar comentando vuestras obras. Me gustaría saber cómo os conocisteis. Eva. Nos conocimos trabajando en el despacho del arquitecto Enric Miralles (Barcelona, 1955-2000). Fue mi profesor en la facultad y con veinte años empecé a trabajar en su estudio mientras aún seguía estudiando. Recuerdo que entonces él y la arquitecta Carme Pinós (Barcelona, 1954), que entonces era su compañera, me parecían muy mayores, a pesar de que sólo tenían diez años más que yo, pero ya eran capaces de dibujar a mano alzada todo lo que querían. Estuve un total de nueve años trabajando en el estudio Miralles, hasta que empecé a dejarlo poco a poco. Con Ricardo sólo coincidimos un año porque yo me fui antes que él. Ricardo. Era difícil marcharse de aquel estudio, la dinámica que había allí te enganchaba. Eva. Además el trato era muy cordial, se cultivaba mucho el respeto entre compañeros, pero siempre con mucha exigencia. Enric se exigía mucho a sí mismo y eso era contagioso. Ricardo. Cierto, yo me quedé unos cinco años más después de que Eva se marchara. Empecé a coger responsabilidad dentro del despacho: me ocupaba del estudio y también llevaba toda la parte de concursos. Cuando empecé, había pocos proyectos en marcha porque era el momento de la crisis post-olímpica, pero después todo se fue animando hasta que llegamos a tener mucho trabajo. Yo había venido de Buenos Aires a Barcelona para estudiar el máster y aprender con él. Cuando acabas la carrera, necesitas un maestro con el que poder pasar una etapa intermedia hasta que no desarrollas tus propios proyectos. Yo tuve la suerte de poder contar con Enric Miralles como maestro. Eva. Estoy de acuerdo, esta etapa es muy importante. Cuando terminé de estudiar pensé en marcharme a hacer un master en alguna universidad americana (Enric también pasaba temporadas enseñando en Harvard), pero valoré más poder aprender de él trabajando en su despacho. Claro, aprender de él directamente como profesional, ya no como profesor. Ricardo. En aquella época instaló su casa en Ciutat Vella junto al mercado de Santa Caterina, en un antiguo palacio que comenzó a remodelar. Mientras hacíamos las obras, encontramos viejos murales o estructuras escondidas dentro del edificio y, trabajando con las capas que había ido dejando el tiempo, nos aproximamos a la historia de la ciudad. Enric nos enseñó a tratar sin distancia con los elementos antiguos. Esto nos ha sido muy útil a la hora de enfocar proyectos como la nueva Sala Beckett porque nos interesa incorporar la historia en la vida cotidiana de las personas, hacer que ésta les sea útil. Eva. Hace veinte años Ciutat Vella no tenía nada que ver con lo que es ahora. Recuerdo imágenes de entonces de una forma muy clara, las calles oscuras y con muy poca gente o bolsos colgando en los balcones: los ladrones cogían el dinero y los tiraban por los aires mientras se marchaban a toda prisa. En el barrio trabajaban todavía muchos carpinteros, herreros… Las calles siempre estaban llenas de cajas de embalaje. Ricardo. Cuando llegué a Barcelona, a principios de los 90, aún había lugares abandonados que eran muy atractivos, como por ejemplo el teatro que hay justo detrás del CCCB (que el arquitecto Elías Torres (Ibiza, 1944) acabó de rehabilitar al 2011). Como arquitecto, me gustaba mucho ver estos edificios medio en ruinas y poder observar sus estructuras. También descubrir lugares de tradición barcelonesa como La Paloma. En los últimos veinte años la ciudad ha sido muy suavizada y muy oficializada. Durante estos veinte años habéis pasado de ser discípulos de Enric Miralles a consolidar vuestro propio estudio. Uso el verbo ‘consolidar’ porque, más allá de todos los edificios que ya habéis levantado, el hecho de contar gran parte de vuestra trayectoria en una muestra como la de Copenhague también implica consolidación. ¿Me podríais explicar en qué consistió esta exposición? Eva. Sí. En realidad fueron dos exposiciones complementarias porque en ambas explorábamos la dimensión social de la vivienda. La primera estaba situada en el Exhibition Hall de la Royal Danish Academy of Fine Arts y se titulaba Meeting at the building. Allí teníamos expuestos todos los elementos que forman el proceso de creación del edificio 111: desde los dibujos y las maquetas iniciales hasta videos (como el que coproducimos con 15-L films) donde se puede ver cómo conviven los vecinos de el edificio dos años después de su construcción. También exponíamos casos de otros edificios sociales tanto de Barcelona como de Copenhagen. Ricardo. 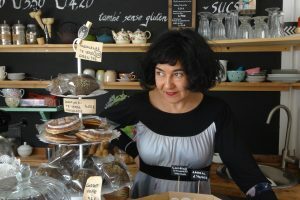 La segunda exposición se tituló Ingredientes & Cakes porque tenía lugar en la galería y estudio de los arquitectos Leth & Gori que antiguamente había sido una panadería. Nosotros quisimos jugar con la historia de ese espacio y, para complementar el material de otros proyectos previos en el edificio 111 que expusimos allí, también ofrecimos galletas y piruletas de chocolate hechas con las formas de los elementos que forman estos edificios. ¿Cómo fue la experiencia de organizar todo esto desde Barcelona? Eva. Tuvimos que pensar muy bien lo que llevaríamos hecho de aquí y lo que se prepararía directamente en Copenhague. En el caso de las galletas, queríamos que las hiciera el cocinero de la cantina que hay en el recinto de la exposición, pero cuando vio las formas que queríamos, se echó atrás. En cambio, fuimos a la pastelería Escribà y explicamos la idea que teníamos. Enseguida se animaron con el proyecto y además nos ayudaron mucho dándonos consejos sobre la manera de transportar todo el chocolate y las galletas hasta Dinamarca. Tienen un equipo muy dinámico. Ricardo. Montar esta exposición fue una experiencia fantástica y también un proceso muy largo y laborioso. Buscar cuál era la mejor manera de presentar nuestro trabajo implicó mucha investigación: queríamos que se entendiera bien el proceso de creación de cada edificio, algo que normalmente lleva varios años de trabajo. Dais mucha importancia al proceso de creación. A menudo sólo tenemos presente los resultados, pero se puede decir que este proceso ya tiene mucho valor en sí mismo. Eva. Para nosotros sí. Es el proceso lo que da sentido a la obra final y a nosotros nos gusta ponerlo en valor, no queremos hacerlo desaparecer. Valoramos mucho todo el trabajo de artesanía que hay en cada maqueta o el dibujo que va más allá de un instrumento para facilitar la construcción. Ricardo. Sí, también es una muy buena manera de expresar cómo hemos llegado al resultado final. El proceso está lleno de errores y de correcciones, pero son estos los que te hacen avanzar. Guardamos todas las maquetas de cada proyecto en baúles de madera que se abren y dentro se puede observar cómo la idea inicial se convierte en lo que finalmente construimos. Es un gran instrumento de comunicación tanto para nuestros clientes como para que los alumnos puedan ver un ejemplo claro y práctico de todos estos procesos. De hecho, a principios de 2013 nuestros alumnos presentaron en la Sala Vinçon unos baúles que contenían todo el proceso de sus proyectos de final de carrera, la exposición se tituló Memorias portátiles. Hemos hablado de crear algo en la distancia, vosotros habéis llevado a cabo muchos proyectos en Barcelona y sus alrededores, pero también en Alemania, Dinamarca o Italia. Como contrastaríais el hecho de trabajar como arquitecto local vs. la figura del arquitecto internacional? Eva. Es relativo, depende de cada proyecto. En el caso de la exposición de Dinamarca podríamos haber trabajado directamente con gente de allí, pero encontramos más apoyo aquí con la pasteleria Escribà, el laboratorio EGM que imprimió nuestros paneles o unos amigos que trabajan con madera y nos construyeron las mesas para la exposición. Todos ellos, gente que se atrevió a producir a gran escala y con mucha calidad. Ricardo. Cuando creas algo en la distancia no dominas el panorama de la misma manera, y si no llevas a tu equipo contigo, es más complicado establecer estos vínculos de confianza con las personas que trabajas. Hay que estar siempre presente porque sino, la obra coge su propia forma más allá de tu control. Arribo a l’estudi d’arquitectura Flores & Prats i em sorprèn trobar un timbre de bicicleta a la porta. «Reminiscència de la Guerra Civil», m’explica l’Eva Prats (Barcelona, 1965), «de quan hi havia talls d’electricitat». 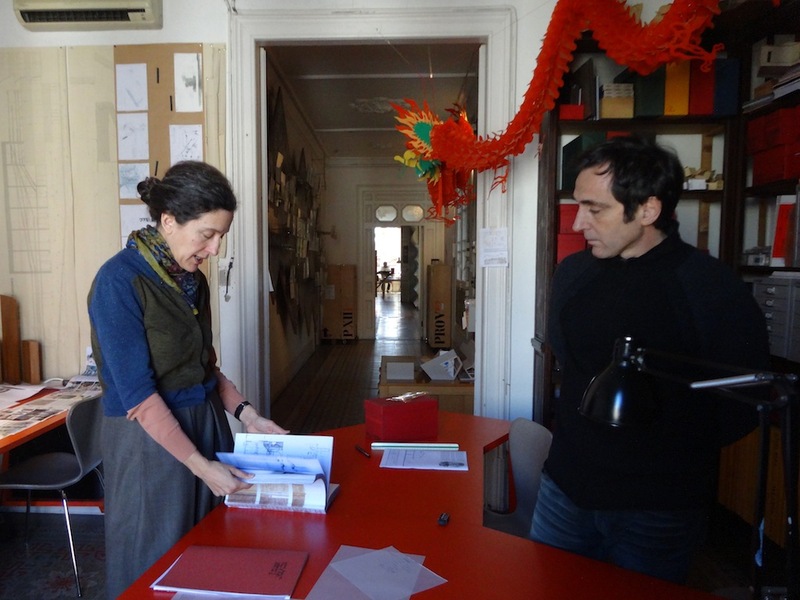 Ella i el Ricardo Flores (Buenos Aires, 1965) m’ensenyen el seu estudi situat al carrer de Trafalgar, mentre em van explicant els seus diferents projectes a través de dibuixos i maquetes que conviuen amb una col·lecció d’objectes curiosos: una verge mexicana, sanefes retallades en tires de paper, antigues joguines japoneses o dracs xinesos (s’hi van aficionar quan van descobrir les formes de drac que hi ha al terra hidràulic de l’estudi). Em centro en dos dels seus projectes. El primer no és un edifici, sinó una exposició que va tenir lloc a Copenhagen a la tardor del 2013, en la qual van presentar tot el procés de treball que hi ha darrere d’una de les seves obres més importants: l’Edifici 111 a Terrassa, un bloc de cent onze habitatges socials. Aquesta exposició ens permet parlar de la importància del procés de treball en l’arquitectura i de com aquest procés canvia quan l’obra es fa a nivell local o a distància. La segona obra aviat transformarà el panorama de la creació escènica de Barcelona: es tracta de la reforma de la nova Sala Beckett, situada al Poblenou, a l’antic edifici de la cooperativa de consum Pau i Justícia. Abans de començar comentant les vostres obres, m’agradaria saber com us vau conèixer. Eva: Ens vam conèixer treballant al despatx de l’arquitecte Enric Miralles (Barcelona, 1955-2000). Va ser el meu professor a la facultat i amb vint anys vaig començar a treballar al seu estudi, mentre encara seguia estudiant. Recordo que ell i l’arquitecta Carme Pinós (Barcelona, 1954), que llavors era la seva companya, em semblaven molt grans malgrat que només tenien deu anys més que jo, però ja eren capaços de dibuixar tot el que volien a mà alçada. Vaig estar un total de nou anys treballant a l’Estudi Miralles, fins que vaig començar a deixar-lo a poc a poc. Amb el Ricardo només hi vam coincidir un any perquè jo vaig marxar abans. 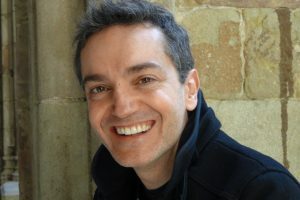 Ricardo: Era difícil marxar d’aquell estudi, la dinàmica que hi havia allà t’enganxava. Eva: A més a més, el tracte era molt cordial, es cultivava molt el respecte i la cordialitat entre companys, però sempre amb molta exigència. L’Enric s’exigia molt a ell mateix i això s’encomanava. Ricardo: Cert. Jo em vaig quedar uns cinc anys més després que l’Eva marxés. Vaig començar a fer carrera dins el despatx: m’ocupava de l’estudi i també portava tota la part de concursos. Quan vaig arribar hi havia pocs projectes en marxa perquè hi havia la crisi de l’època postolímpica, però tot es va anar animant, fins que vam arribar a tenir molta feina. Jo havia vingut de Buenos Aires a Barcelona per fer el màster i per aprendre amb ell. Quan acabes la carrera necessites un mestre amb qui poder passar una etapa intermèdia fins que no desenvolupes els teus propis projectes. Jo vaig tenir la sort de poder comptar amb l’Enric Miralles com a mestre. Eva: Estic d’acord, aquesta etapa és molt important. Quan vaig acabar d’estudiar vaig pensar a marxar per fer un màster en alguna universitat americana (l’Enric també passava temporades ensenyant a Harvard), però vaig valorar més poder aprendre d’ell treballant al seu despatx. És clar, aprendre d’ell directament com a professional, ja no com a professor. Ricardo: En aquella època va instal·lar el seu estudi al costat del mercat de Santa Caterina, a Ciutat Vella, en un antic palauet que va començar a remodelar. Mentre fèiem les obres, vam trobar vells murals i estructures amagades dins l’edifici i ens vam aproximar a la història de la ciutat treballant amb les capes que havia anat deixant el temps. L’Enric ens va ensenyar a tractar els elements antics sense distància. Això ens ha estat molt útil a l’hora d’enfocar projectes com la nova Sala Beckett, perquè ens interessa incorporar la història a la vida quotidiana de les persones, fer que els sigui útil. 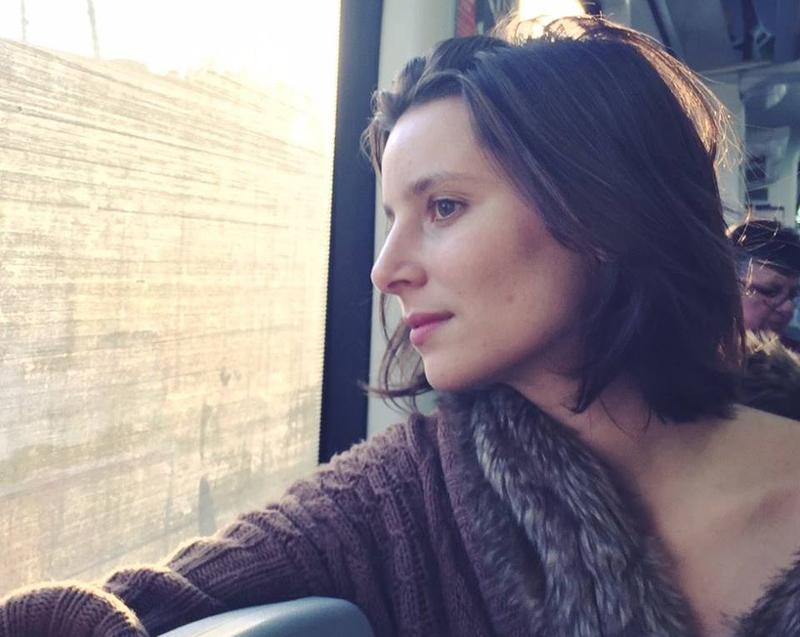 Eva: I, a més, fa vint anys aquella zona no tenia res a veure amb el que és ara. Me n’han quedat imatges molt precises, com ara carrers foscos i amb molt poca gent, o bosses robades penjades als balcons: algú les estirava, n’agafava els diners i les llançava pels aires mentre marxava corrents. Al barri hi treballaven molts fusters, ferrers… els carrers sempre eren plens de capses d’embalatge. Ricardo: Quan vaig venir a fer el màster a Barcelona, a principis dels noranta, encara hi havia llocs abandonats que eren molt atractius, com ara el teatre que hi ha just al darrere del Centre de Cultura Contemporània de Barcelona (CCCB) que l’arquitecte Elías Torres (Eivissa, 1944) va acabar de rehabilitar el 2011. Com a arquitecte, m’agradava molt veure aquests edificis mig en ruïnes i poder observar les seves estructures. També descobrir llocs de tradició barcelonina, com per exemple La Paloma. En els darrers vint anys la ciutat ha estat molt suavitzada i molt oficialitzada. I, durant aquests vint anys, heu passat de ser deixebles de l’Enric Miralles a consolidar el vostre propi estudi. Faig servir el verb consolidar perquè, més enllà de tots els edificis que ja heu aixecat, el fet d’explicar gran part de la vostra trajectòria en una mostra com la de Copenhagen també implica consolidació. Em podríeu comentar en què va consistir aquesta exposició? Eva: Sí. En realitat van ser dues exposicions complementàries, perquè en totes dues exploràvem la dimensió social de l’habitatge. La primera estava situada al vestíbul de la Royal Danish Academy of Fine Arts i es titulava Meeting at the building. Hi teníem exposats tots els elements que formen el procés de creació de l’Edifici 111. Hi vam exposar des dels dibuixos i les maquetes inicials fins a vídeos (com el que vam coproduir amb 15-L. Films) en els quals es pot veure com conviuen els seus veïns dos anys després de la construcció. També exposàvem casos d’altres edificis socials, tant de Barcelona com de Copenhagen. Ricardo: La segona exposició es va dir Ingredients & cakes, perquè es va fer a la galeria i estudi dels arquitectes Leth & Gori, que antigament havia estat una fleca. Nosaltres vam voler jugar amb la història de l’espai i, per complementar el material d’altres projectes previs a l’Edifici 111 que vam exposar allà, també oferíem galetes i piruletes de xocolata fetes amb les formes dels elements que integren aquests edificis. Com va ser l’experiència d’organitzar tot això des de Barcelona? Eva: Vam haver de pensar molt bé el que portaríem fet d’aquí i el que prepararíem directament a Copenhagen. En el cas de les galetes, volíem que les fes el cuiner de la cantina que hi ha al recinte de l’exposició, però quan va veure les formes que volíem es va fer enrere. En canvi, vam anar a la pastisseria Escribà i li vam explicar la idea que teníem. De seguida es van animar amb el projecte, i a més a més ens van ajudar molt donant-nos consells sobre la manera de transportar tota la xocolata i les galetes fins a Dinamarca. Tenen un equip molt dinàmic. 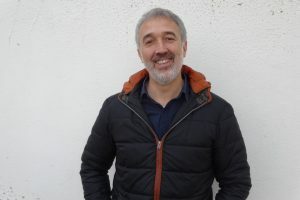 Ricardo: Muntar aquesta exposició va ser una experiència fantàstica i també un procés molt llarg i laboriós. Buscar quina era la millor manera de presentar la nostra feina va implicar molta recerca: volíem que s’entengués bé el procés de creació de cada edifici, que normalment comporta diversos anys de treball. Doneu molta importància al procés de creació. Sovint només tenim presents els resultats, però es pot dir que aquest procés ja té molt de valor en si mateix. Eva: Per a nosaltres, sí. És el procés el que dóna sentit a l’obra final i a nosaltres ens agrada reivindicar-lo, no fer-lo desaparèixer. Valorem molt tot el treball d’artesania que hi ha en cada maqueta o el dibuix que va més enllà d’un instrument per a facilitar la construcció. Ricardo: Sí, també és una molt bona manera d’expressar com hem arribat al resultat final. El procés està ple d’errors i de correccions, però són aquests els que et fan avançar. Guardem totes les maquetes de cada projecte en baguls de fusta que s’obren i a dins es pot observar com la idea inicial es converteix en el que finalment construïm. És un gran instrument de comunicació, tant per als nostres clients com per als alumnes, que poden veure un exemple clar i pràctic de tots els processos. De fet, a principis del 2013 els nostres alumnes van presentar a la Sala Vinçon un bagul amb una maleta que contenia tot el procés del seu projecte final d’arquitectura. L’exposició es va titular Memorias portátiles. Hem parlat de crear quelcom en la distància. Vosaltres heu dut a terme molts projectes a Barcelona i als seus voltants, però també a Alemanya, Dinamarca o Itàlia. Com contrastaríeu la figura de l’arquitecte local vs. la de l’arquitecte internacional? Eva: És relatiu, depèn de cada projecte. En el cas de l’exposició de Dinamarca podríem haver treballat directament amb gent d’allà, però vam trobar més recolzament amb gent d’aquí com ara l’Escribà, el laboratori EGM, que va imprimir els nostres panells, o uns amics que treballen amb fusta i ens van construir les taules. Tots ells van ser gent que es va atrevir a produir a gran escala i amb molta qualitat. Ricardo: Quan crees quelcom en la distància no domines el panorama de la mateixa manera, i si no portes el teu equip amb tu, és més complicat establir aquests vincles de confiança amb les persones amb què treballes. Cal estar sempre present perquè, sinó, l’obra agafa la seva pròpia forma, més enllà del teu control. Eva: La proximitat també canvia completament tot el procés de creació, perquè no només busques fer una feina funcional i harmoniosa. Com que coneixes molt bé l’entorn on se situarà l’obra, treballes per a una societat determinada, amb uns paràmetres i unes subtilitats molt concretes. 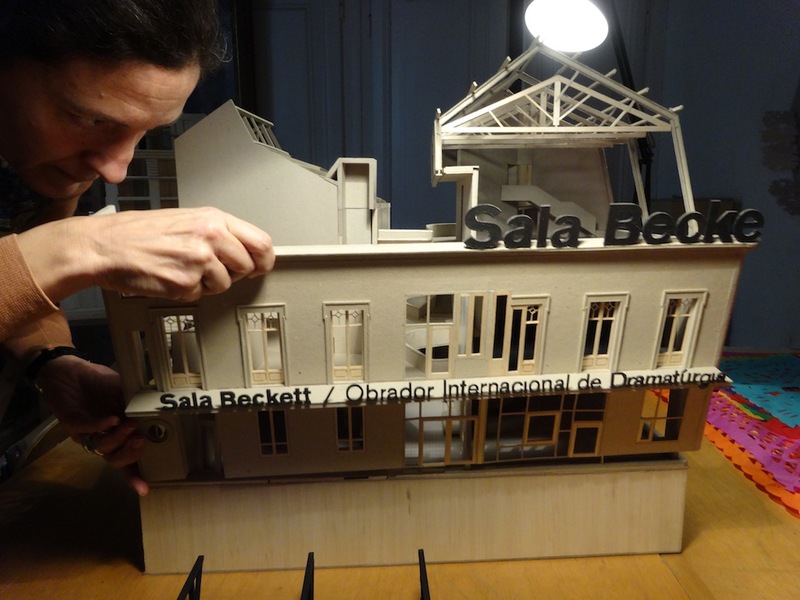 Ara estem treballant en l’obra de la Sala Beckett i és un luxe poder visitar-la cada vegada que ho necessitem, perquè és a poques parades de metro. De fet, hi anem d’aquí una estona. Véns amb nosaltres?